Have you ever heard the word “summiting?” That’s what mountain climbers call it when they reach the very top of the mountain they are climbing. There’s more to summiting than reaching your goals, too; the summiting experience also includes breaking away from a wooded trail into the full force of crisp, clear winds, and taking a look around you – all around you – at some of the most inspiring sights nature has to offer. You can achieve this experience while climbing and hiking in the Smoky Mountains, of course, but also at our high alpine condos in Gatlinburg, TN. The Great Smoky Mountains National Park near Gatlinburg can’t be accused of false advertising – there really are mountains out in Tennessee’s hill country. From the Gatlinburg area it’s just a short drive to two great mountain hikes nearby, Mt. LeConte and Clingmans Dome. Mt. LeConte requires a 5.5 mile hike to the summit, great for more experienced hikers, and Clingmans Dome features Tennessee’s highest point and a much shorter, paved hike perfect for quick walks or families with young kids. Why not make a “Summiting Saturday” part of an upcoming weekend? Of course, summiting has its downsides. If it didn’t, we’d all be out every day, climbing mountains. It takes a fair amount of effort to make it up the side of the mountain, and once you’re there, well, you’ve got to go back down. Wouldn’t it be great if you could actually relax, with all the comforts of home, and still enjoy a world-class view? At the end of your Saturday spent on the mountaintop, you’ve got to have a place to hang your hiking boots. Why not mountain-top Gatlinburg condos and chalets that will keep you close to those mountain views? Ski Mountain Chalets has four high alpine condos in Gatlinburg at their High Alpine Resort, including #203, #205, #302, and #305, and they all offer affordable luxury, incredible mountain views, and amenities like fully-equipped kitchens, decks, fireplaces, Queen or King-size beds, and access to the nearby Chalet Village swimming pool and clubhouse with a pool table. 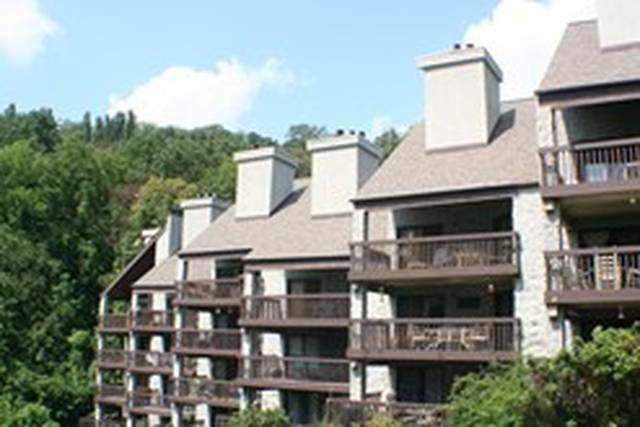 Gatlinburg condos and chalets like these also offer flexible sleeping arrangements. The 3-bedroom condos #302 and #305 offer Kings, Queens, and Twin-size beds and sleep up to 8, while #203 and #205 sleep 6 and 4, respectively, so there’s plenty of room for families of many sizes. When you’re considering booking your Gatlinburg condos and chalets, it’s important to know that high alpine condos in Gatlinburg with views like these won’t necessarily be available at the last minute. Call or visit us online at Ski Mountain Chalets and book your weekend in the mountains sooner, rather than later. See you at the top of the mountain!